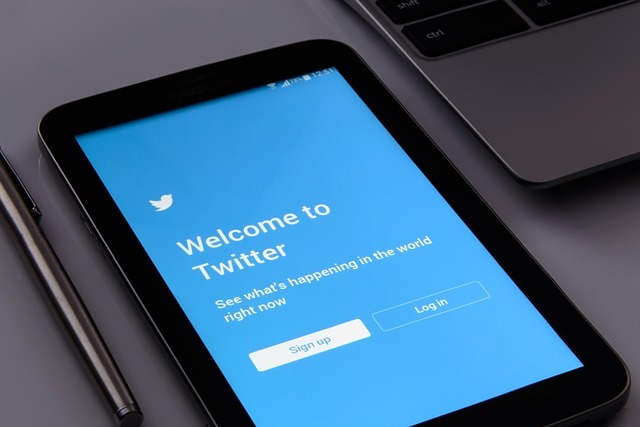 Twitter is one of the most used social media platforms with 328 million active visitors a month, 100 million daily active visitors and a whopping 500 million tweets a day!! Those are some really big number to consider adding Twitter Marketing to your social media marketing strategy. Don’t you agree? A hashtag is a simple process to throw on some hashtags to the end of tweets. The marketing carried out on Twitter is simply adequate. The reach of your brand to the range of audience will increase with twitter marketing. This will help you gain more followers, prospect clients and hence you will be able to generate more clients from twitter marketing. Since the evolution of hashtags, you now know what twitter marketing is? and how are posts being posted on it? 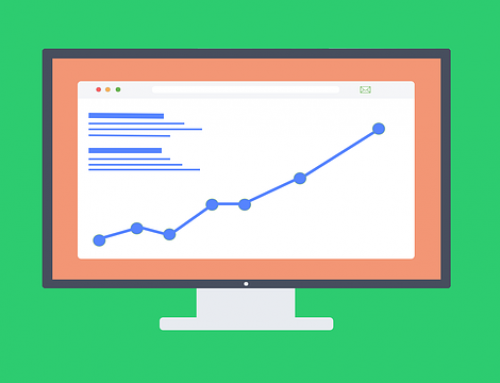 This will help you generate lead and clients towards your website. This sort of marketing helps you grow your business on twitter. Many searchable and clickable contents are to as tweets. Click on these tweets to view a stream of tweets that contain hashtags. The best thing about Twitter is that you can use this platform for cross-promoting the brand and its services. Twitter has this advanced feature which can be used to find people who are interested in your main topic and are active on other social networking sites. When you can find people, then you should start a conversation and build a relationship with people. 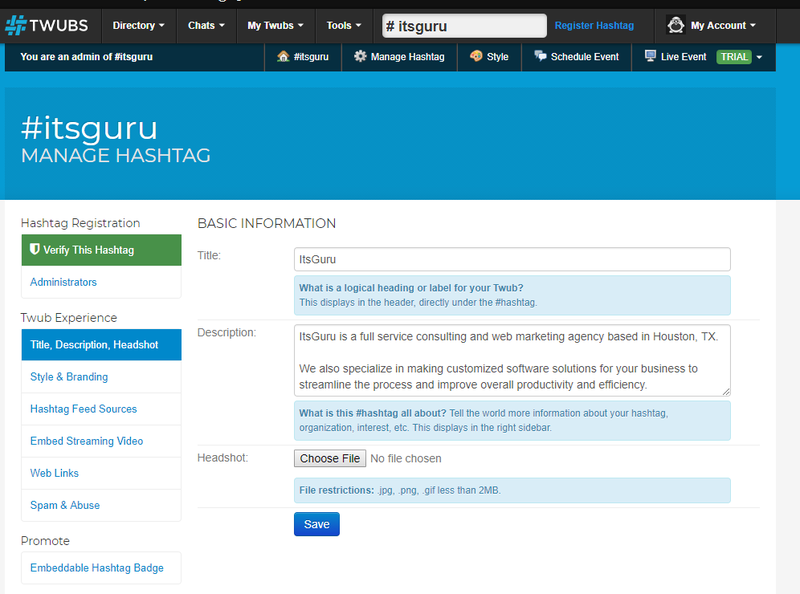 With RiteTag, you can research your hashtags before placing them on your tweets by checkout its performance beforehand. Using the right hashtags makes your tweets more reachable and that is what your aim is, right? 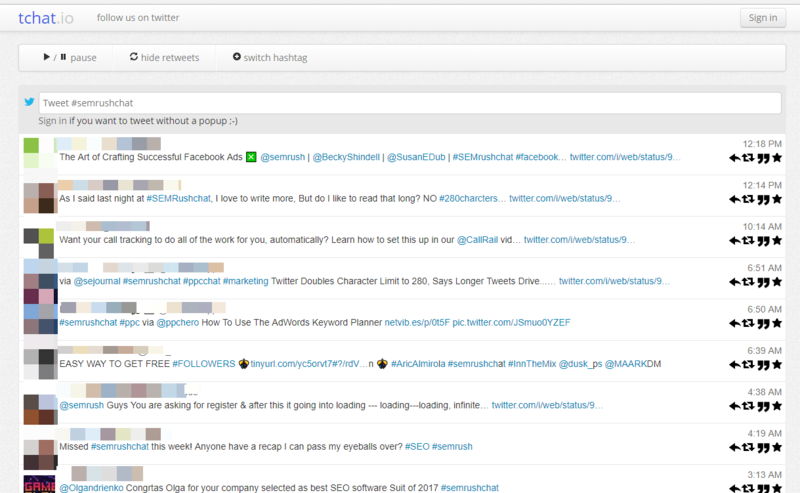 This tool also suggests other related hashtags that can get your tweets seen over the time. I really like this feature because it keeps on getting you like and shares days after you had tweeted. 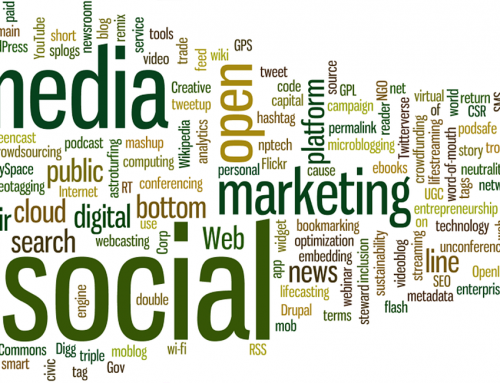 Performing social media marketing strategy with the use of tools can be time-consuming. But with so many smart tools out there, improving your Twitter marketing productivity is not at all a big deal. Representing the brand of your company should reach to the audience with an innovative touch. The representation of your brand is a unique thing that you need to mention uniquely. If you want to drive the attention of a great deal of audience to your site, then you can achieve it by adding an innovative approach to building a different identity. A branded hashtag becomes a powerful tool for the representation your brand’s personality. You can motivate people and give them a clear idea of representing your company differently. The great examples of adding branding techniques are #PutACanOnIt and #BeatCancer. How to create a Branded Hashtag? The primary reason for using hashtags is gaining the knowledge of its usage, carry out a quick search on twitter before you get yourself started with this job. Finding the correct and informative hashtag for your business is a critical thing if you see a hashtag and it’s being used then move on to next which is free, this will eventually help you understand what hashtag is and how can it be used. The prior thing that you need to understand is there is no such thing as owning a hashtag. The competitors of your brand can also use your hashtags. Even I have received countless emails from competitors to own my hashtag. Everyone can use the hashtags that you are using to represent their brand, the only thing that you are supposed to do is keep on fighting for it. You can register your hashtag in the top-notch site like Twubs.com. The hashtag that you use for representing your brand should create such impact that users can remember it forever. You can use a simple hashtag like #JustDoIt to represent your brand its identity. Always remember to keep things sweet and simple. Ted Rubin, a leading Social Marketing Strategist and Co-Founder of Prevailing Path is the best example of representing a brand with its brand identity in a reasonable manner. He owns a well of hashtags, he tweets #RonR which means Return on Relationship. He has another twitter handle which he has created for the word of this concept @RonR which he has created to represent his brand and endorse its services. Promoting your product and its services through events will help you increase your audience reach. If you spread the awareness of your brand and its services, then it will give the organizers to represent an event in a better manner. The range of tweets posted on the social networking handle will allow the organizers to handle the success ratio of the event organized. There are many advantages of event organization which would help you get a better understanding of competitors who post tweets. Never use too many acronyms. You can market your brand by using the contents marketing strategy, and this will be having some relevance to the hashtags that you use for promoting your services. Giving a broad exposure to the brand and its services is an essential form of promotion which will help you move further. You can add your spin to represent your brand and its identity in the market, and this innovative approach will drive more responses. Campaign Hashtags are some other sort of game and it is needed to be researched. I am not only talking about using hashtags as a campaign which would result in getting a better and broader wide spread of your product and its services. This will help you run some seriously successful campaigns with a higher ratio of audience to your brand’s visibility range. We need to do this because the campaigns that you carry for your brand may last for weeks, months and might be a year or more. Once you have understood what the hashtag is and how it works, then it is the time to implement it. The popular hashtag like #ShareACoke is one among those great tags that are simple and straightforward. 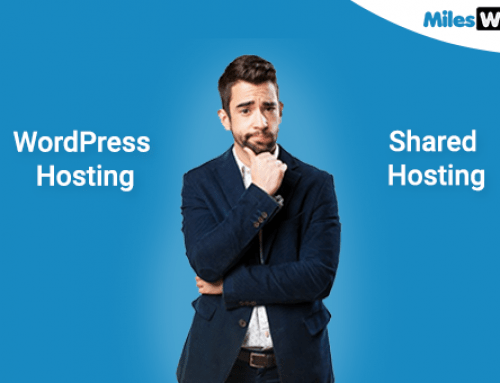 These sort of hashtags have done exceptionally well on various social handles and hence has come with substantial public likes, shares, and posts. So, going well with these sort of campaigns will take your brand forward and therefore help you in a long run of your product. National Day Hashtags are one of my favorite hashtags that can be said as non-official holidays. These days are fun to go days that come under the non-official category, for example, you can tell it as #NationalDogday or #NationalCoffieDay. You can also check the National Day Calendar to increase the reach and exposure of your brand in the market. The Trending Hashtags are the popular hashtags that can help you gain some popularity. These hashtags are displayed on the right side of your Twitter profile. A great job of trending hashtag is carried out using for gaining better audiences visibility range. First, analyze what the trending hashtag is and how can it be used by the brands. The best example of using tags is to follow @DiGiornoPizza. Before using the hashtags, just make sure that what these tags are and how are they used on the social media channel. There are stages when you come across situations in which you make embarrassing blunders and hence the reflection gets displayed with adversity. No one should use any sensitive hashtags which reflects the poor taste of the user. These are hashtags that are most preferably used in the marketing industry. All you have to do is simply rely on the interest you have in your field. I am active in the fitness industry, and some of my favorite hashtags are #fitfam, #mcm, #wcw, #fitspo which all are categorized as some of the best fitness brands. When people are looking for good content, they will be going through tweets. So, people go through tweets will analyze your tweets and if found appropriate will surely follow you. 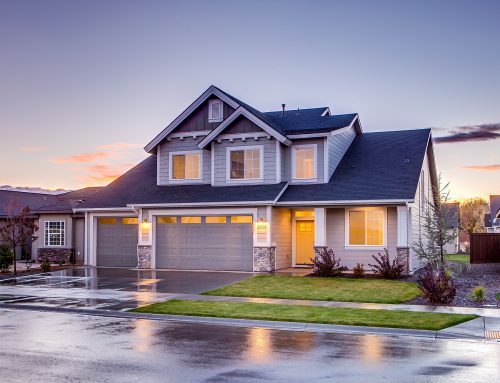 People who see you apt will go on to choose you and your brand services which will reflect in the rise of your brand services and hence you will get a better reach of audiences. So whenever you are choosing to tweets make sure that you don’t add more than two hashtags. This will help you get a better ranking and hence a good range of potential audience. This is an excellent source which can be used to find the essential resource for your tweeter account. What you have to do is simply key their names to Twitonomy, and you will be able to find the hashtags that are most frequently used by your competitors. Twitonomy gives a detailed analysis of anyone’s tweets, retweets, replies, mentions, and hashtags. Using this tool, you can search, browse, filter and figure out who you are following? And who is following you? You just keep a track record of clicks and follower growth. 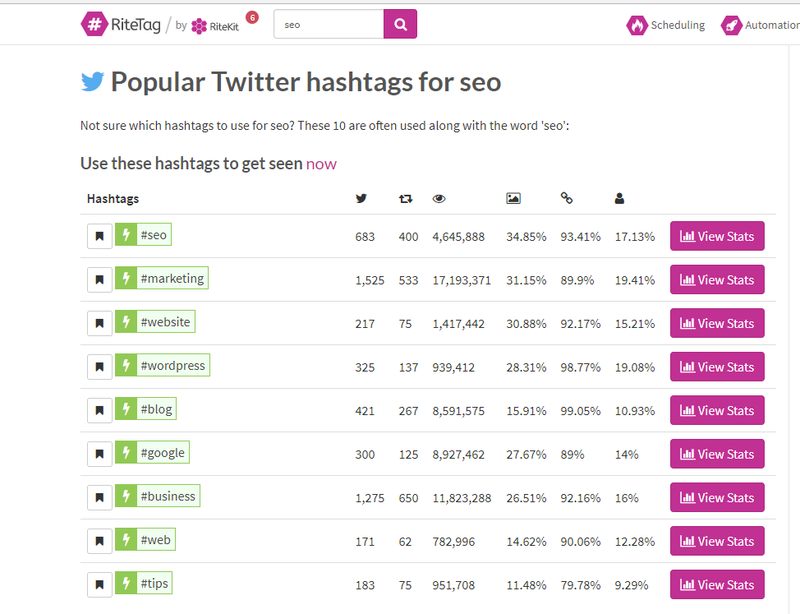 With Hashtagify you can figure out the range of popularity of hashtags. This tool can be considered as an excellent source for research of other popular hashtags which are suitable for your brand and the services it provides. You can find popularity ranking, related hashtags, trends and much more of any social media marketing sites like Twitter, Instagram, etc. Hashtagify tool can be used to get in-depth analysis the hashtag posts that you have posted on different social sites by finding out hashtags, comparing posts with different competitors and driving the attention of users which are relevant to you and your brand. This will eventually result in amplifying your hashtag marketing strategy. Top trending hashtags can be used to reach a more extensive audience range. If you want to find the performance ratio of your hashtags you simply need to download hashtags and charts of tracked data. These are hashtags that are used for Twitter chats. It is conducted during specific hours when like-minded people get gathered. Generally, in such conversations guests are invited in which open Q&A (Quality and Analysis) is carried out. A range of question is asked within 6 to 10, and the quality analysis is carried out. Joining and getting involved in a Twitter chat is like speaking to several people at a single time, this is how twitter works. Twitter works ten times faster than the real world conversations, as you have to handle a huge ratio of the crowd within a specified time limit. Here is a list of twitter chats that you can join to get yourself occupied spreading your brand awareness by building a relationship with customers. Getting yourself logged into a certain conversation will help you build your brand’s reputation in the market. Hence, resulting in the betterment of your services and it’s generating a wide range of audience. TweetChat helps you follow a Twitter chat by entering the hashtag, and you can pause the chat if you want to go slow and also lets you reply to the tweet right from there. 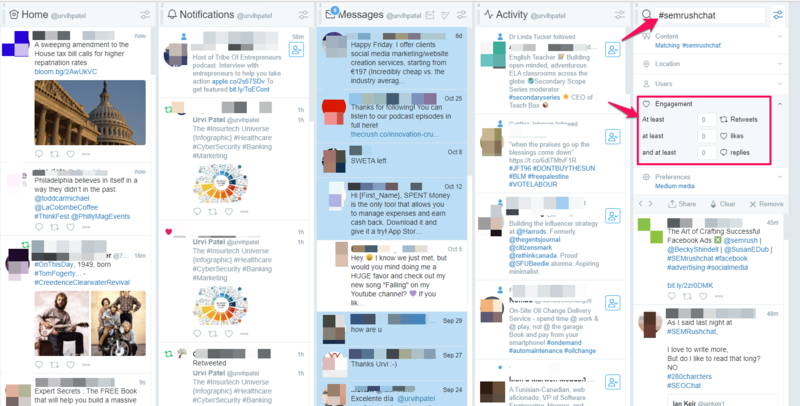 There are a lot of features that this tool offers like it shows you other active chats under “Active Rooms” from where you can browse other Twitter chats and join whichever grabs your interest. tchat.io is a very simple and easy to use tool. TO get started just enter the chat hashtag and it will load all the chats with that tag in real time. Just like other Twitter chat tools, you can get started to follow a chat by entering the hashtag in Tweetdeck. But there are some other cool features in this tool like filtering the tweet by location, user and engagement options like selecting the number of retweets, likes or replies it has. Once you get used to the chat that you are in conversation with you will be able to chat even when the chat is not going to have any added exposure. Whenever you are posting any content, just make sure that it has some range of relevance and drags the attention of those you are in conversation with your brand’s chat. Posting any tweet to the twitter handle is not just enough, you need to handle those posts along with the results which can either be positive or negative. The master plan that you have designed for your business when executed in a right way will bring the company of your twitter profile much more efficiently.